After a year of hard labor in the Salt Mines of Endovier, eighteen-year-old assassin Celaena Sardothien has won the king's contest to become the new royal assassin. Yet Celaena is far from loyal to the crown – a secret she hides from even her most intimate confidantes.Keeping up the deadly charade—while pretending to do the king's bidding—will test her in frightening new ways, especially when she's given a task that could jeopardize everything she's come to care for. And there are far more dangerous forces gathering on the horizon -- forces that threaten to destroy her entire world, and will surely force Celaena to make a choice. Crown of Midnight was one of those books that I read in one sitting. By the time I was three chapters in, I knew I would be not be getting much sleep that night! 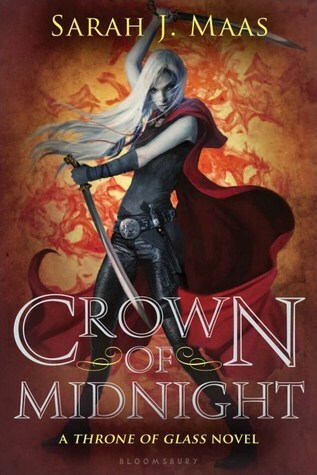 I loved Throne of Glass, but Crown of Midnight was EVEN BETTER. Some sequels suffer from the dreaded "middle book syndrome" (or in this case "second book syndrome", as it looks like there will be many more to come), but the exact opposite was true here. In Crown of Midnight, I feel that Sarah J. Maas took the series to an entirely different level. The story had more suspense, action, drama, romance, and mystery. Her writing felt more mature to me in this one, and I could feel her growth as an author in every scene. The characters were more thoroughly developed, and I felt like I got to know them much better this time around. In my opinion, the author took more risks with the plot development, and I felt that it paid off big time. Everything about this sequel just felt so much MORE than Throne of Glass. It was amazing to me how much her writing has developed since her debut. In Throne of Glass, I felt at times that some of the dialogue didn't fit with the historical time period of the world, but I noticed that it felt 100% genuine this time around. There were soo many exciting action scenes that had me flying through the pages, as well as some heartbreaking ones where I felt tears welling up. I really connected with Celaena in the sequel much more than I did in the first book, and I really appreciated that. Be prepared for an ending that will have your mouth drop to the floor. It was one of the most shocking cliffhangers that I have read in a LONG time. Get ready to be shocked, awed, and have your heart ripped out all at once in one of the best sequels I have ever had the pleasure of reading. An amazing epic fantasy with gorgeously written characters, superb world-building, and some of the best dramatic scenes in YA. I absolutely cannot wait for the next book, and with the way this series and Sarah's writing have grown thus far, we are in for one hell of a ride! If you loved Throne of Glass, you MUST read Crown of Midnight ASAP. If you have yet to start the series, I suggest you pick up both books, and read them back to back! Yes, I can't wait to read this one. I loved Throne of Glass so I'm really excited to read the second book. I'm totally torn between Dorian and Chaol. Can't wait to see what happens. Awesome review that I just bought the Throne of Glass now and I can't wait to buy the Crown of Midnight when it comes out soon I am so excited to read these book I heard a lot of great reviews about them! I'm starting this series right after I finish with All Souls Trilogy, can't wait! 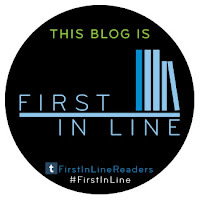 I've heard amazing stuff about Throne of Glass and Crown of Midnight. I can't wait for this series. It sounds so very good. And it is nice to see a second book get awesome reviews. Especially when the first book was so good. Thank you for your review!